Here are more beautiful finds for you today! The following are stunning Arab Traditional Dresses called the Jalabiya (or Galabiya in Egypt). 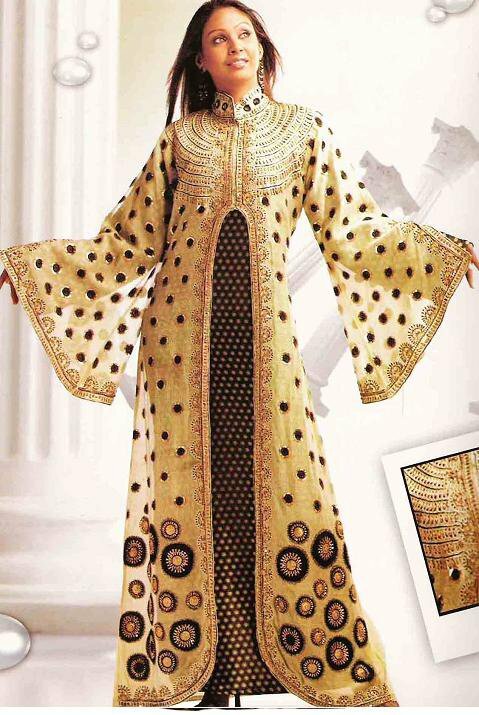 These Arab Traditional Dresses are stylish even though they are traditional. These Arab Traditional Dresses are appropriate to wear for festive occasions such as when you attend a wedding, or for other joyous occasions such as al-Eid! As al-Eid is fast approaching, these styles can be used for your Eid parties. 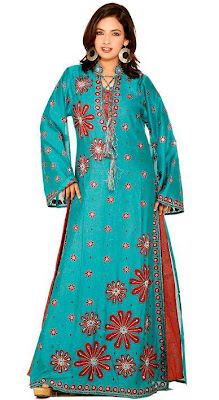 For more Arab Muslim Traditional Dresses, please click here.